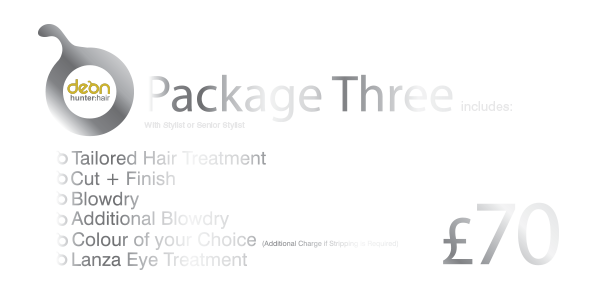 Below is a selection of offers available in salon. 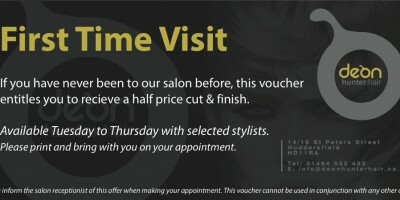 Simply click the image and print the offer voucher. 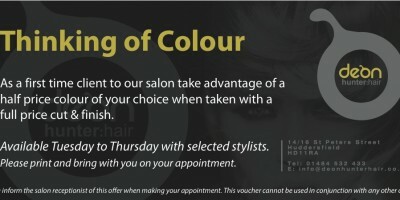 All details of the offer can be found on the voucher. 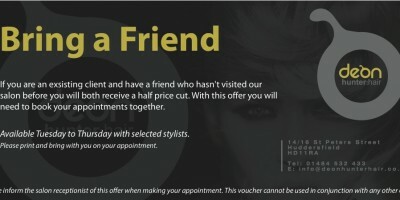 I am happy for Deon Hunter Hair to use this information to get in contact with me. I understand this information is not shared with and 3rd parties and I have the right to request deletion of my information at any point. 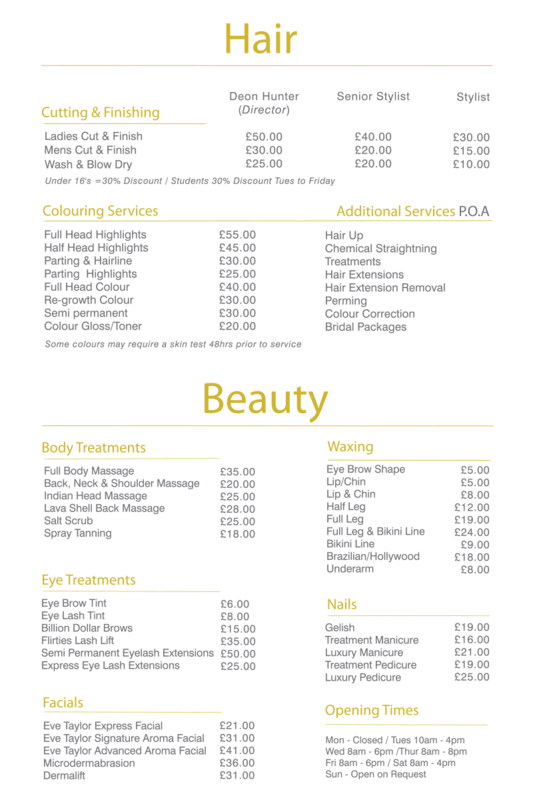 To contact the salon simply fill out the form above and we will aim to get back to you asap. For urgent enquires please telephone on the number above.